Click on the Windows or Mac version. Launch (or “open”) the downloaded file. Just click “Next” repeatedly until it’s done. 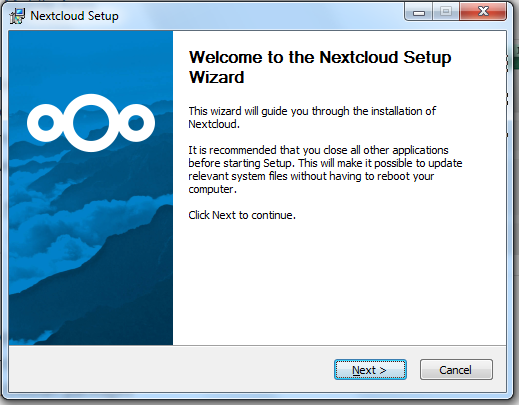 When you now launch the program, the first step is to connect it to your cloud. It will ask you for the “Server Address” which means the URL of your cloud. Enter that and click “Next” and then enter your Username and Password. If you get those right, then the wizard will ask you if you want to sync everything or only certain files, and it will allow you to specify which folder on your PC to use to sync the files. Set those up as you like and then that’s it. 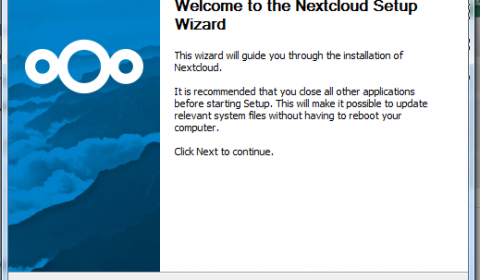 For details how to install the Nextcloud server, see our How to Install Nextcloud Server post.